You are going to wake up tomorrow and head to the office as you always do. 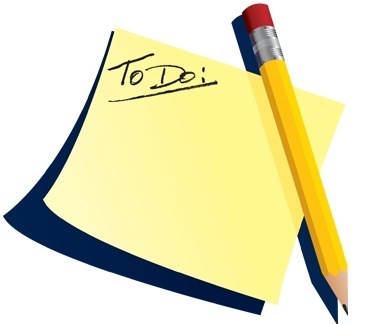 Whether it is a two hour commute or a two minute walk to your home office you most likely know what your To Do list looks like once you get there. We all have To Do list that we work through each day. We toil to get everything accomplished on the list as best that we can. Each of our lists is a little bit different in the number of items on our list. My list tomorrow may have ten items on it, and your list may have 8 items on it while Amy’s in New York may have fifteen items on her To Do list. What Makes A Good To Do? So I am going to challenge you. I want to look at your list closely before you start on knocking it out tomorrow. I am willing to bet that less than half the items on your list actually make you money. I am willing to bet that only 25% of the items on your list are what I call “List Busters”. 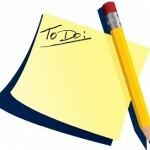 A “List Buster” is something that you look at on your To Do list and you know it has a bearing on your future success. It is an item on your list that impacts your future or that can actually impact your income. These are what I call “List Busters”. They generally stick out on your daily To Do list. You see we all compile our to do list each night. Wait, you do compile your To Do list the night before right? You certainly are not that persona that gets to the office and spends the first twenty minutes of the day creating your daily To Do list are you? Because if you are I bet you that in the time you are creating your To Do list for the day you could have knocked a few items off your list. Always create your To Do list the night before. This Saves times, is more efficient, and allows you to get focused and productive right when you walk through the door in the morning. It also put you ahead of your competition and sets the pace for a great day. Ok, where was I? Oh wait, one more thing. If you are the person who does not have a written list of to do’s then you fail the class before the course even begins. You cannot be efficient and focused if your thoughts are not organized on what you should be focusing on. You have to have a written To o list. If you have been neglecting to do this then I strongly encourage you to start creating one right now. Spend a few minutes the night before writing down the most important things you need to accomplish for the next day. Back to our “List Busters”. So I have a theory about your To Do list and mine. My theory is that in most cases their will only be a few items on the list that are really “List Busters”. You can spot a List Buster based on the fact that it again is an item, action, or activity that of done well has an immediate impact on your ability to make money or get ahead. These are the items on the list that if they are done right, you shine! Focus on the “List Busters” first. Make sure you do these task as through, efficient, and complete as possible. These are the money making task that should always come first. Get these done ASAP! Regarding the other items that are not “List Busters” , make sure you work to get them done, but never be afraid to throw something off the list of it does not move you in the direction you want to go. Do not do To Do’s just for to do sake. Make sure your To Do list is filled with truly productive task that need to be done and not filled with simple busy work. Follow these instructions and I will guarantee your productivity will go up and so will your income. You have to create a To Do list and use it to be as effective as you can be. Always create your To Do list the night before. Do not waste first part of your day working on your To Do list for that day. Always make sure you To Do list in in writing or some format that you can see it as you work your way through the task at hand. Pick out the “List Busters” and make sure you focus your time primarily on these items. Work to get these done first. These are the items that have immediate impact, make you money, or get you ahead the quickest. Don’t be afraid to rid your To Do list of busy work or superficial To Do’s that were never worthy of making your list in the first place.